The calm before the storm OR in this case the 'breeze before the gale force winds!' 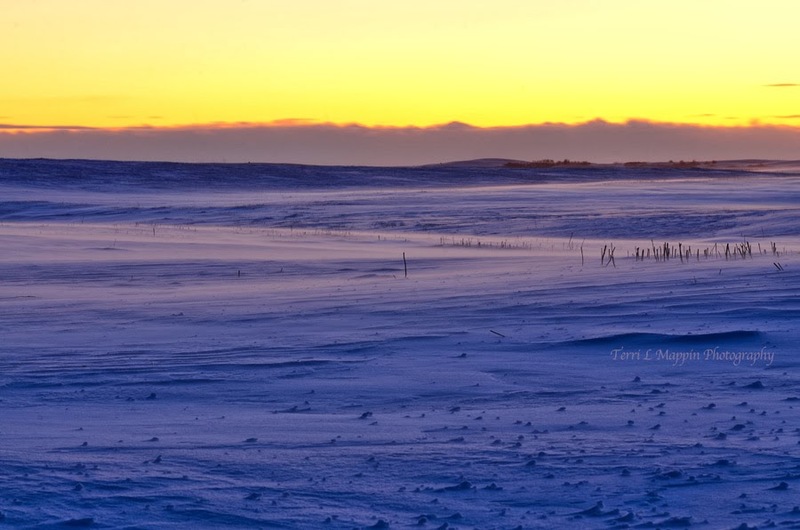 As the sun dove behind the horizon and the temperature reached to anchor itself around the mid -20's, the snow was beginning to drift and sift across this prairie land. Thank you Anke! All the best to you in 2014 as well! The wind blown snow adds to the mood and beauty of your scenes, Terri, particularly when viewed on my computer here in the warmth of our sheltered coastal town where winds, if any, are usually light. Thank you Don and Karen! It's always best to view cold, windy scenes from the comfort of a warm home! I can only imagine how nasty your winds can get!!! And how cold!! Brrr ... makes me get the chills just thinking about it!